The ever-increasing demands on our personal time are largely responsible for the rapid expansion of the lawn care industry over the past 10 years. For a very reasonable fee, lawn care companies are able to provide homeowners with a complete custom-designed lawn care program, including fertilization, weed and insect control, aeration and even overseeding to keep lawns green and weed-free throughout the season. Lawn care companies come in a variety of shapes and sizes, from a few trucks to large fleets. Some are franchised, others are privately owned. From the perspective of service none of these factors is particularly significant when making a choice. However, here are some of the factors you should take into consideration when choosing a lawn care program..
What sort of program does the company offer? How many times will the lawn care company visit your home and what lawn services does it provide with each visit? Your lawn’s needs vary depending on the time of year, current condition of your lawn and your location. The work performed will also depend on the season. Be prepared to ask questions about the types of lawn programs offered and the quality of the lawn products used. Are you looking for an organic or a synthetic lawn care program? Are you aware that you choice will have a direct bearing on the final results? How much after service support do they offer? A green and healthy lawn will require more than a few visits per season from a professional lawn care company. Do they offer information and advice on techniques for mowing, watering, etc. between visits? Have they made you aware of their continuous service policy? Many lawn care companies will continue to service your lawns year after year until you ask them to stop. Known as continuous service billing, this is more than a convenience to the company than to the customer. Do you want them to continue the service without your explicit agreement? Has the company sales person taken the time to explain their company’s policy in full? 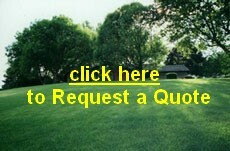 -Keep an eye out for lawn care companies in your area. Each company’s effectiveness should be plain for you to see! -How many years has the company been in business? Are they established in your part of town? -All lawn care companies are required by law to be licensed with the Ministry of the Environment. Look for the MOE sticker on the truck. -Is the staff fully trained? -Is the lawn care company a member of Landscape Ontario? The Intgrated Pest Management (IPM) Symposium is one of the major educational programs hosted annually by Landscape Ontario. Each year people employed in the lawn care industry are brought up to date on the latest techniques in safe and effective lawn care.